For more than a year, I’ve been wearing the Shine from Misfit pod (from Misfit) on the wrist. 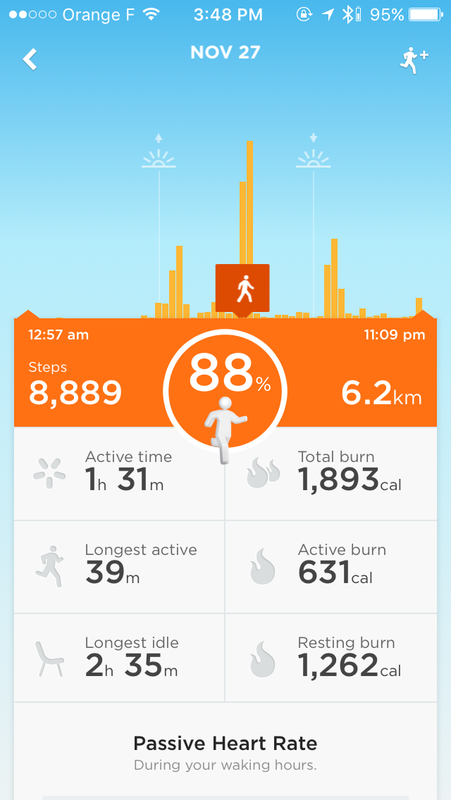 It counts my steps, measures my activities and monitors my sleep. I have friends and everyday we can see who was the most active in our chart. So, I did some Shine vs Runtastic … I positionned the pod on my foot, then back on the wrist with the support of the app Runtastic (an app that tracks whatever sport your are practicing). 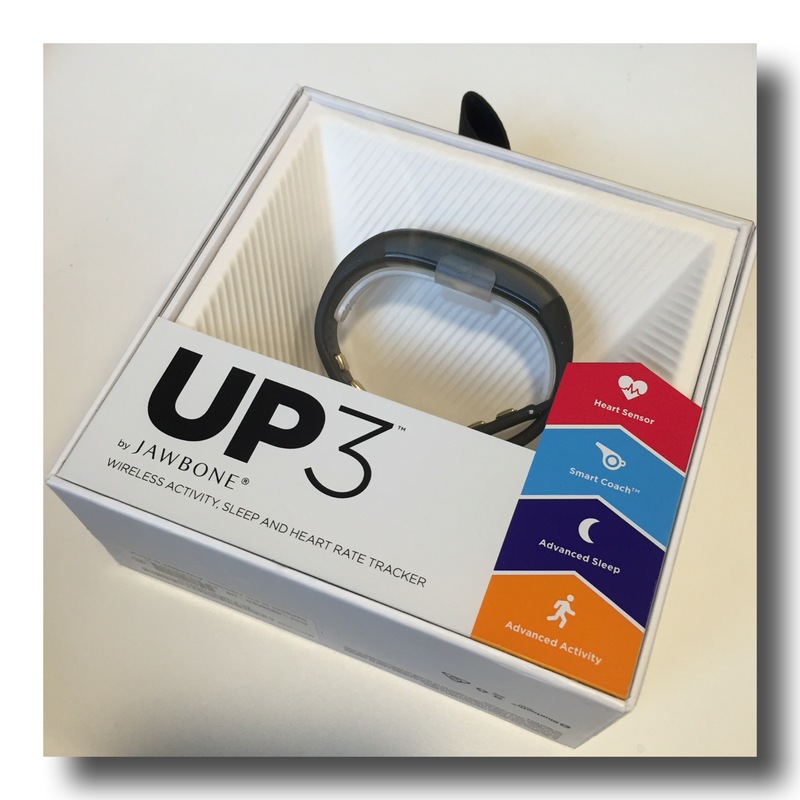 Now, I’ve been upgraded to the brand new UP3 by Jawbone! Autonomy: 7 days for the UP3 vs 4 months (with a replaceable battery). I think I can cope with one charge a week to be on top. Waterproof: yes for the Shine, watersplash for the Up3, perfect to go under the shower. So, you will swim with the Shine, not with the Up3. 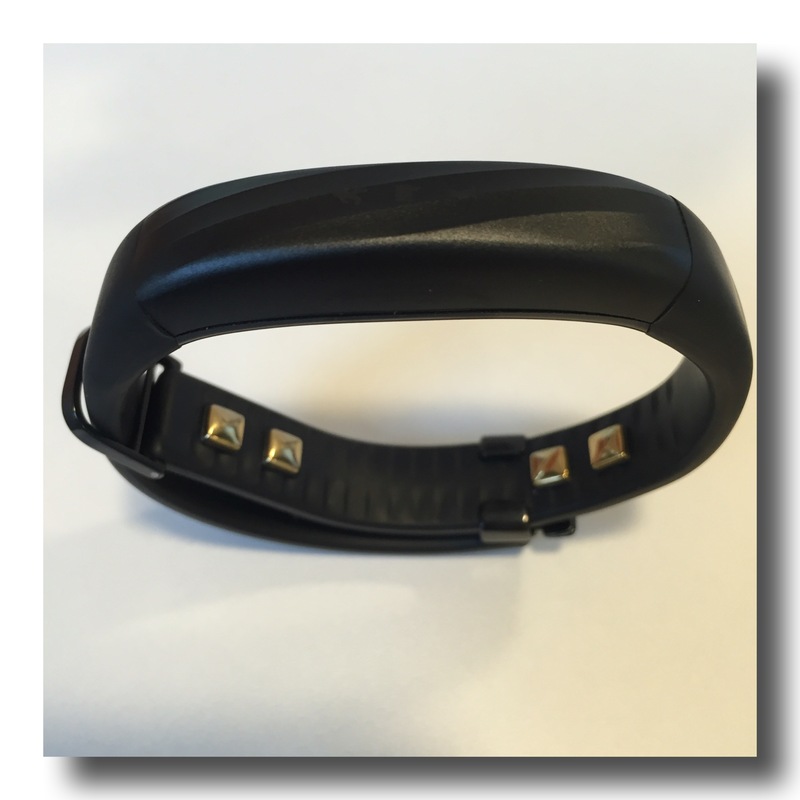 Both bracelets will track the activity, steps, sleep and burn calories. 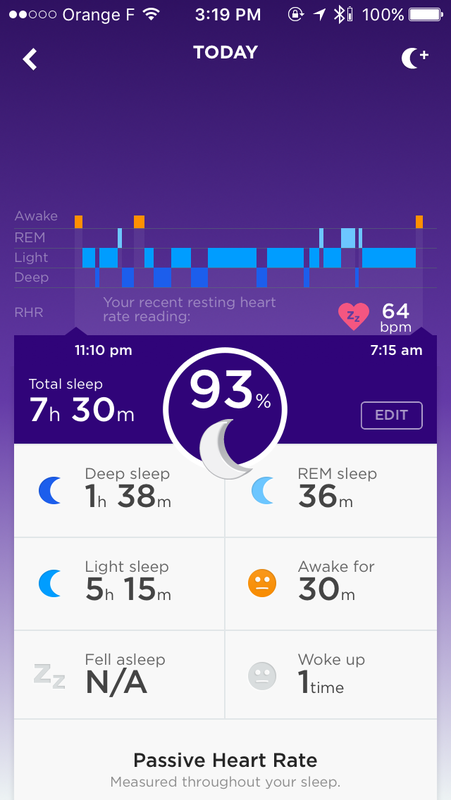 The UP3 goes further and will analyse the heart beat, the sleep pattern, the eating habits and will coach us through the day. Let’s unpack the UP3 and set it up. 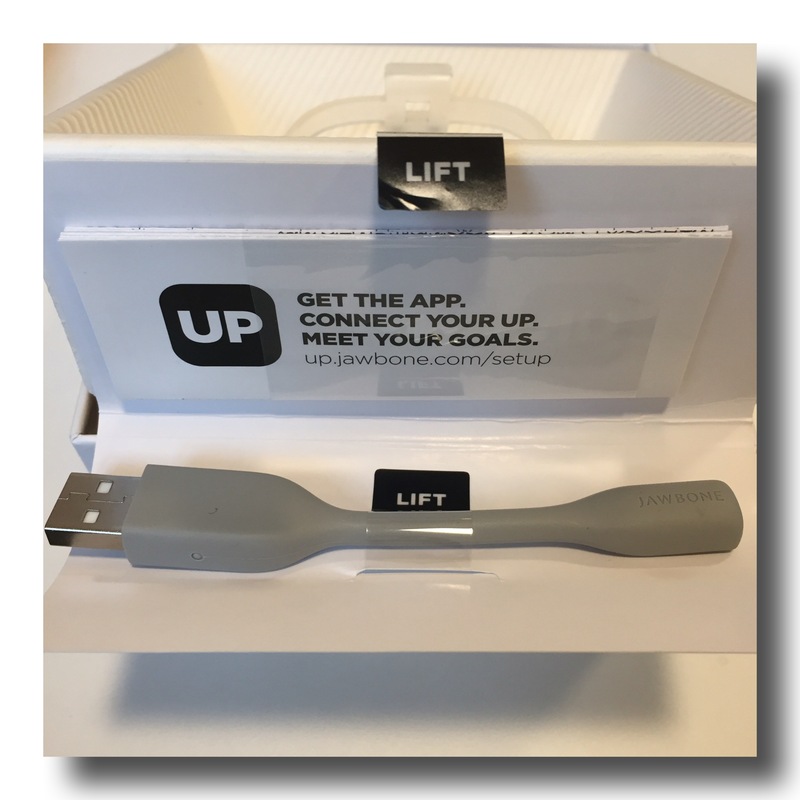 and launch the Up3 app to pair it to your phone through a bluetooth connection. 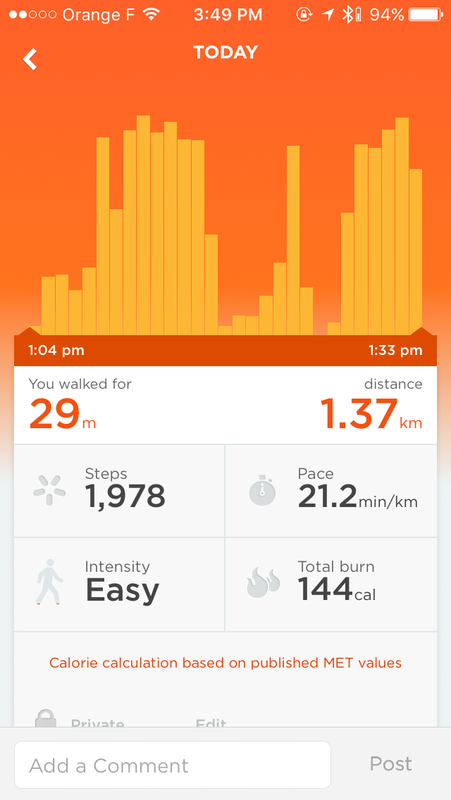 What’s cool in the UP3 is that the apps “talks” to lots of partners apps really strong on their tracking. 1. Activity, I connected my UP3 to Runtastic* (a gps app tracking lots of physical activities, I use it mainly to track my skateboard rides, my gym). 2. Sleep. 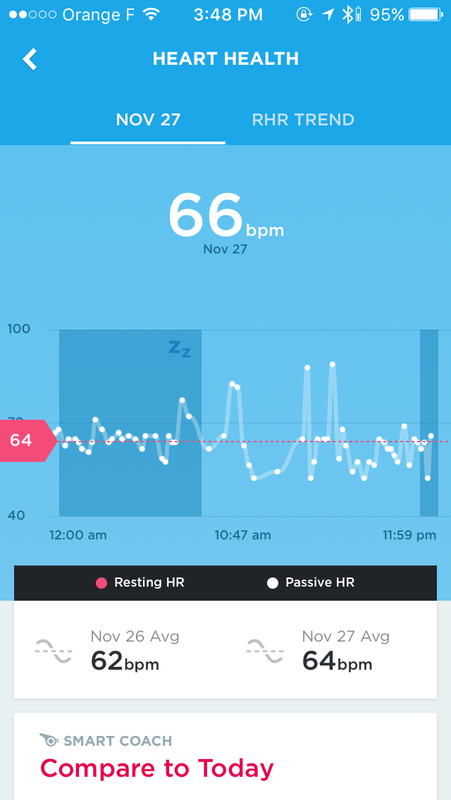 I think this is the key of the UP3 (all the UPs, not only the UP3, are really strong in the sleep analysis). all those info, crossed with the passive heart rate. I never had those data before. The cool think is that the “coach” will help you improve your sleep, heart beat, eating habits. 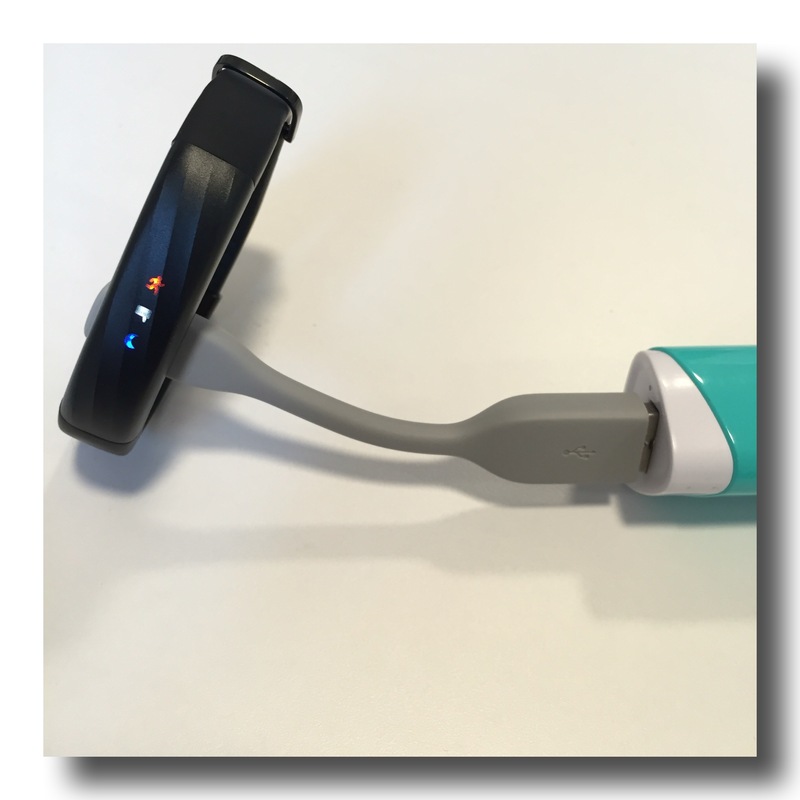 PS: You have the possibility to add a “nap” during the day with the Up3, not with the Shine. I connected to the “Lose It” app. This app has a great database. Scan the barcode and here you go, all the nutrition info will be in the app (sugar, sodium, …). It’s not easy to keep up with what we eat, as somethings it’s not referenced and I don’t know how many calories, sugar, … are in my mochi. Then the UP3 will give it and “healthy note“, out of 10. Don’t forget to drink it’s good for your heart, brain, … and will help on your healthy note. You can scan your product or enter manually its nutritive properties in the Up3 app or you can sync it with the LooseIt app (the scan is really pertinent and their database is huge). PS: Loose It has a great database that works well for the US, not really for Europe … lots of manual entries if you are in Europe. 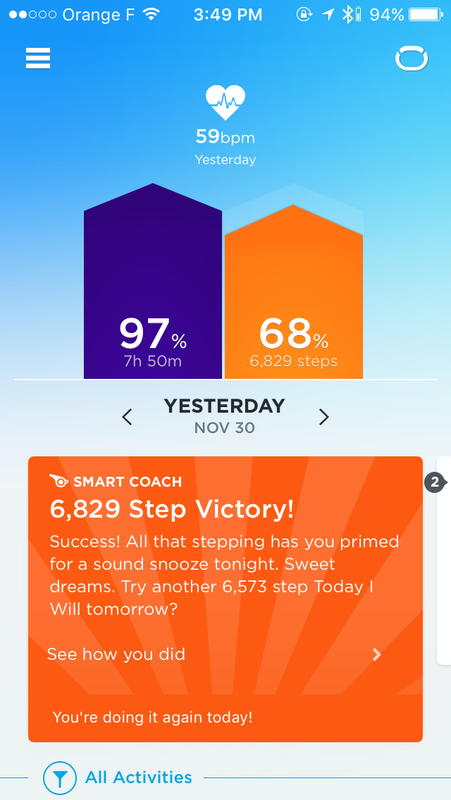 The smart coach gives you tips, following your eating/drinking, sleeping, activity habits and challenge you for your own good. The good thing about the smart coaching is that it’s there to help you get healthier and to make you think about your habits. I can’t keep up with the eating habits even if I want to … I just ate a plate of 12 different sushis, don’t know and want to enter each sushi manually … (lazy me). PS: Up3 communicate with the Runtastic app (the free version). If you have the pro version, download the free one, log in and keep both Runtastic Pro and Runtastic on your phone. When you start your session, launch Runtastic (free version) not the pro one. Up 3 will be fed the info by Runtastic not by the pro version. Story to continue with the analysis of the accuracy of the data between the Shine and the Up3. ← My Xmas list 2015! Excellent review, just a pity the heart on demand on the firmware 1.3 was on the shed on that one!